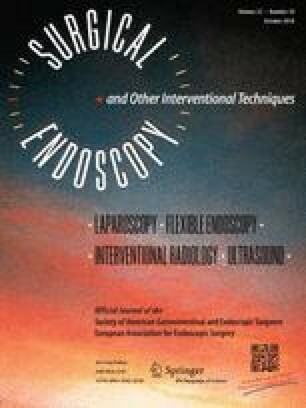 During the 2004 annual meeting of the Society of American Gastrointestinal and Endoscopic Surgeons (SAGES), a panel of experts convened to provide updated information on best practices in bariatric surgery. The rapid evolution of endoluminal technologies, surgical indications, and training in bariatric surgery since 2004 has led to new questions and concerns about optimal treatment algorithms, patient selection, and the preparation of our current and future bariatric workforce. An expert panel was convened at the SAGES 2017 annual meeting to provide a summative update on current practice patterns, techniques, and training in bariatric surgery in order to review and establish best practices. This was a joint effort by SAGES, International Society for the Perioperative Care of the Obese Patient, and the American Society for Metabolic and Bariatric Surgery. On March 23, 2017, seven expert faculty convened to address current areas of controversy in bariatric surgery and provide updated guidelines and practice recommendations. Areas addressed included the expanded indications for use of metabolic surgery in the treatment of diabetes, the safety and efficacy of new and investigational endoluminal procedures, updates on new guidelines for the management of airway and sleep apnea in the obese patient, the development of clinical pathways to reduce variation in the management of the bariatric patient, and new guidelines for training, credentialing, and bariatric program accreditation. The following article is a summary of this panel. Bariatric surgery is a field that continues to evolve. A timely, systematic approach, such as described here, that coalesces data and establishes best practices on the current body of available evidence is imperative for optimal patient care and to inform provider, insurer, and policy decisions. Dr. Schauer has the following relationships: (1) Advisory Board: The Medicines Company, GI Dynamics, Neurotronic, Pacira; (2) Consultant: Ethicon, The Medicines Company, Novo Nordisk; (3) Research Support: Ethicon, National Institutes of Health, Medtronic, Pacira. Dr. Rosenthal has the following relationships: (1) Speaker, Medtronic. Dr. Daniel Jones: (1) Allurion Gastric Ballon. Dr. Dana Telem: (1) Consultant, Medtronic. Otherwise, the rest of the authors have no conflict of interest and nothing to disclose.